Alex Mayyasi has a welcome article on Pricenomics (thanks to Harrison and a tip o' the hat to Maggie for the link). Over the past 12 years, Lt. Megge has increased the speed limit on nearly 400 of Michigan’s roadways. … Lt. Megge advocates for raising speed limits because he believes it makes roads safer. Every year, traffic engineers review the speed limit on thousands of stretches of road and highway. Most are reviewed by a member of the state’s Department of Transportation, often along with a member of the state police, as is the case in Michigan. In each case, the “survey team” has a clear approach: they want to set the speed limit so that 15% of drivers exceed it and 85% of drivers drive at or below the speed limit. This “nationally recognized method” of setting the speed limit as the 85th percentile speed is essentially traffic engineering 101. It’s also a bit perplexing to those unfamiliar with the concept. Shouldn’t everyone drive at or below the speed limit? And if a driver’s speed is dictated by the speed limit, how can you decide whether or not to change that limit based on the speed of traffic? … Years of observing traffic has shown engineers that as long as a cop car is not in sight, most people simply drive at whatever speed they like. So if drivers disregard speed limits, why bother trying to set the “right” speed limit at all? One reason is that a minority of drivers do follow the speed limit. “I’ve found that about 10% of drivers truly identify the speed limit sign and drive at or near that limit,” says Megge. Since these are the slowest share of drivers, they don’t affect the 85th percentile speed. But they do impact the average speed -- by about 2 or 3 mph when a speed limit is changed, in Lt. Megge’s experience -- and, more importantly, the variance in driving speeds. This is important because, as noted in a U.S. Department of Transportation report, “the potential for being involved in an accident is highest when traveling at speed much lower or much higher than the majority of motorists.” If every car sets its cruise control at the same speed, the odds of a fender bender happening is low. But when some cars drive 55 mph and others drive 85 mph, the odds of cars colliding increases dramatically. This is why getting slow drivers to stick to the right lane is so important to roadway safety; we generally focus on joyriders’ ability to cause accidents -- and rightly so -- but a car driving under the speed limit in the left (passing) lane of a highway is almost as dangerous. It seems absurd that over half of drivers technically break the law at all times. It’s also perplexing that speed limit policy so consistently ignore traffic engineering 101. So why do people like Lt. Megge need to spend their time trying to raise speed limits? "When I drive that slow, you know it's hard to steer. And I can't get my car out of second gear. What used to take two hours now takes all day. Huh, it took me 16 hours to get to L.A."
In 1973, the Egyptian military crossed the Suez Canal in a surprise attack on Israel. It was the start of the 1973 Arab-Israeli War, and also low speed limits in the United States. When the United States began resupplying Israel with arms, the Organization of Arab Petroleum Exporting Countries announced an embargo against the United States and several other countries. Combined with other supply constraints, it led to a quadrupling of gas prices, shortages of gasoline, and long lines at the pump. In an effort to reduce America’s need for gas, President Nixon issued an executive order mandating a 55 miles per hour speed limit on American highways, which Congress made law the following year. States are officially in charge of setting their own speed limits, but national leaders (semi) successfully cajoled states by tying compliance to federal highway funds. Since driving at high speeds is less efficient, the policy is estimated to have saved 167,000 barrels of oil per day, or around 1% of American motor oil consumption. Congress abolished the national federal speed limit in 1995. Many states increased their speed limits before they could even post new signs, but many speed limits remained low. Twenty years of a 55 miles per hour speed limit created a low baseline that drags down speed limits today. If you peruse the websites of state’s departments of transportation, you’ll often find a very technocratic explanation of the 85th percentile principle. Speed limits are consistently lower than the 85th percentile speed across the country, however, because there are many limitations on following the principle. Florida’s Department of Transportation, for example, extolls the 85th percentile principle, yet the state legislature sets maximum limits for each type of roadway. Locally, officials can come under pressure from parents and other safety-conscious groups to lower speed limits. Consistently, the 85th percentile loses out to the perception that faster roads are less safe, so speed limits should be low. It’s a misconception, Lt. Megge says, that he faces often in his work. When he proposes raising a speed limit, the initial reaction is always “Oh my god! You can’t do that. People are already going too fast.” People think raising the limit 10 mph will lead people to drive 10 mph faster, when really changing the limit has almost no impact on the speed of traffic. If someone could wave a wand and get every American to drive below 60 mph, roads would be safer. But since law enforcement can’t keep over 50% of Americans from speeding, putting a low number on a sign can’t make roads safer. Fortunately, American roadways are safer than ever, with highway fatalities at historic lows. Roads can be dangerous, but the perception of roads getting increasingly dangerous is a false one. … The other reason speed limits may remain low, which John Bowman, Communications Director of the National Motorists Association strongly insists on, is that cities and police departments use traffic citations as a revenue generating tool. As Bowman says, when speed limits are artificially low, it’s easier to give out citations and pull in fine revenue. 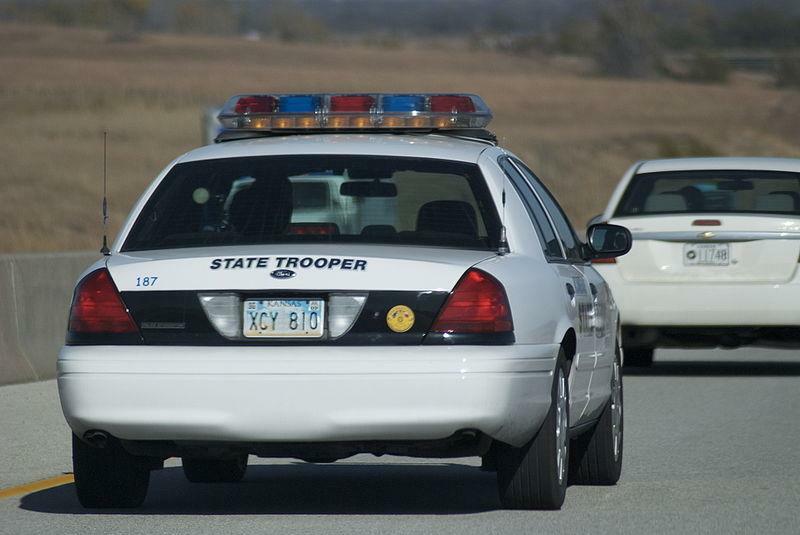 Due to concern about such “speed traps,” Missouri passed a law in the 1990s that capped the amount of a town’s revenue that could come from traffic tickets. In 2010, auditors discovered that Randolph, Missouri, generated 75% to 83% of its budget from traffic tickets. The tiny town of around 50 residents, which is located near several casinos, employed two full-time and eight part-time police officers, turning it into a speed trap poster child. Figuring out how common the tactics used by Randolph’s police department are around the country is difficult, as is tying it to a conscious decision to keep speed limits low. Each town or city makes its own decisions, which makes it difficult to know how comprehensively speeding tickets are used as a revenue generator. Further, it is very easy for police departments to defend pushing officers to issue more tickets as a goal intended to further roadway safety -- as the LAPD did when found in violation of a state law banning traffic ticket quotas last year. In our conversation, Lt. Megge stated that he believes speed traps to be a “big problem” and counter to police officers real role of altering dangerous behavior. In a Detroit Newsarticle about a number of towns ignoring state law by not reviewing the speed limits on stretches of their roads, Megge said that he believes the communities did so in order to avoid revising speed limits upwards. This allows them to keep collecting ticket revenue on “artificially low” speed limits. … “I don’t want to lie to people,” Lt. Megge tells us. It may make parents feel better if the speed limit on their street is 25 mph instead of 35 mph, but that sign won’t make people drive any slower. Megge prefers speed limits that both allow people to drive at a safe speed legally, and that realistically reflect traffic speeds. People shouldn’t have a false sense of safety around roads, he says. If people and politicians do want to reduce road speeds to improve safety, or make cities more pedestrian friendly, Megge says “there are a lot of other things you can do from an engineering standpoint.” Cities can reduce the number of lanes, change the parking situation, create wider bike paths, and so on. It’s more expensive, but unlike changing the number on a sign, it’s effective. Raising speed limits up to the speed of traffic can seem like surrendering to fast, unsafe driving. But it would actually accomplish the opposite. If advocates like Megge are right, following the 85th percentile rule would make roads safer, and it would also mean taking speed limits seriously. In its 1992 report, the U.S. Department of Transportation cautioned, “Arbitrary, unrealistic and nonuniform speed limits have created a socially acceptable disregard for speed limits.” Lt. Megge has worked on roads with a compliance rate of nearly zero percent, and a common complaint among those given traffic citations is that they were speeding no more than anyone else. With higher speed limits, Megge says, police officers could focus their resources on what really matters: drunk drivers, people who don’t wear seat belts, drivers who run red lights, and, most importantly, the smaller number of drivers who actually speed at an unreasonable rate. It seems counterintuitive, but it’s a formula Americans should love: Raise speed limits, make roads safer. The express purpose of using racial labels in stories about officer-involved shootings is to racialize them. Whenever the dead guy is black, racial animus is simply assumed. No other motive—self defense, for example—is considered. But when 60 black kids rampage through a mall, whaling on each other like savages, the media are suddenly rendered colorblind. Geez, were those kids black? I hadn’t noticed. I don’t see color. But of course they see color. That’s why they take such great pains to conceal it. If Orange Park wasn’t already the mall “white people used to go to” it soon will be. This kind of mayhem scares away customers. It’s like a cancer that invades the local economy and gnaws away at it until there’s nothing left but blight and deep-seeded resentment. The recent brawl at Orange Park wasn’t even the first one at that mall. On Christmas Day 2015 a massive fight broke out in or near the mall cinema. Nor is Orange Park the only mall that suffers from this kind of uproarious anarchy. In what appears to be a coordinated nation-wide campaign, enormous melees broke out at malls in eleven states on the day after Christmas 2016. The New York Times actually covered the story with the headline “After 15 Big Mall Fights, Police See a Culprit: Teenage Boredom.” Cell phone videos showed all black faces so I can only conclude that boredom is a problem unique to the black community. I’m sure there’s a lesson about #whiteprivilege in here somewhere but I’ll leave that for someone else to find. On the same day the previous year, a fight broke out at Mall St. Matthews in suburban Louisville involving between 1000 and 2000 participants. No one was arrested. “Our officers, they showed great restraint,” said a police spokesman. And by “restraint” he means that more than 1000 hooligans went on a rampage and they all got away scott free. Though the media and the cops tap-danced around the racial issue, it didn’t take Sherlock Holmes to deduce the skin color of the rioters. The fact that no one was arrested sounds weird though it would make more sense if the cops’ first concern was to avoid accusations of police brutality and/or racism. Call it the Ferguson Effect—fearful of the media, the “civil rights” establishment, and the Obama Administration’s ultra-racist DOJ, the cops just stood down. They avoided making arrests because it meant no paper trail (with all of the accompanying racial classifications), no mug shots, and—most importantly—no accusations that they came down hard on the kids because they were black. Another clue that the perps were almost entirely black is that the local news station, WLKY, dispatched one of their few black reporters to cover the story. That’s what black reporters are for: to report on the black stories. During her report, the journalist mentioned “At one point, dozens of [rioters] were running toward our camera.” All of the teens streaming past appeared to be black. A follow-up story cast light on the fracas’s supposed root cause: apparently there are “very few options for entertainment west of I-65.” That’s Louisville’s black ghetto, by the way. The report then segued into a story about a youth basketball league in that part of the city that aims to keep kids out of trouble. (Wait a second, isn’t that entertainment?) Every kid in the story was black. One of the kids claimed to have been at the mall on the night of the riot, strongly hinting that he was among the rioters without saying so explicitly. All the thugs got away so we’ll never know. Not that I doubt for a moment that there are very few recreational activities in the blackest parts of Louisville or any other American city; I would simply dispute the precise cause and effect relationship. No one with a lick of sense would start up a bowling alley, movie theater, or mini-golf course in the black ghetto for the same reason that no one wants to start any other business there. There’s too much crime, too much violence, and too much disregard for people and their property. In short, there are too many hooligans like the ones who trashed Mall St. Matthews. The relationship between the hooliganism and the lack of entertainment options is exactly reversed. It’s not just malls either. In Memphis, a mob of about one hundred black teens attacked a Kroger supermarket where they proceeded to beat the tar out of an employee who may have been chosen at random. (Then again, he may have been chosen because he was white.) One cell phone video recorded by a black female caught her giggling “Hold on, they got a white dude!” The video shows a young man on the ground shielding himself from brutal kicks to the face before being pummeled with pumpkins. “Beat Whitey Night” has become something of a tradition at the Iowa State Fair since 2010 when black teenagers attacked random white people, including cops. Something very similar happened at the Wisconsin State Fair in 2011. This is how civilization dies. It begins with the mob mentality which, if tolerated, can only spread. This mob is a self-selecting bunch so if a single demographic group happens to be robustly represented then shame on that group. It’s up to that community’s responsible members to police their own. The rest of us don’t have anything to apologize for. But the rise of the mob is only the beginning of civilizational demise. As long as there is a will to resist this kind of lawlessness, civilization still has a fighting chance. Unfortunately, the mob has learned that the quickest way to make civilization drop its guard is to hurl accusations of bigotry. First they stigmatize any discussion of “law and order” as a racist dog-whistle. The media are glad to help with that, even the taxpayer-funded media. People who don’t like black mob violence must not be allowed to get away with portraying themselves as anti-mob violence—they must be accused of being anti-black. Civilization has no defense against this kind of attack other than to retreat—first from the mall, then from the neighborhood, then from the entire city. Once a locality enters this kind of nosedive it’s almost impossible to pull out of it. Property values drop, which the mob attributes to racism rather than their own dysfunctional behavior. Schools become dangerous places where no education is possible even for students who want to learn, which causes middle-class, tax-paying families to flee to the suburbs. To add insult to insult to injury, the fleeing families are called racist for leaving, as if they didn’t want to stay in the neighborhoods they called home for generations. Teachers leave too, especially the good ones, because they can’t bear the indiscipline and violence that infects their schools. And down and down communities go, spiraling toward the abyss. Some people persist in the belief that if they surrender a little more territory the mob might be satisfied and leave them alone. But the mob’s appetite is never sated. Avoiding confrontation only emboldens them. We can’t just keep moving further out into the suburbs. The forces of civilization—a multi-hued bunch if ever there was one—must make its stand against lawless hoodlums. We have to say “no” to this kind of thuggery. What Caused Secession and Ergo the Civil War? Was It Slavery and/or States' Rights? Or Wasn't It Rather Something Else — the Election of a Ghastly Republican to the White House? In the uproar over President Donald Trump's comments about Andrew Jackson and the Civil War, we are told that the science is settled, so to speak: slavery caused the conflict. Except that others, especially in the South, retort that the War Between the States was caused by states' rights. Wondering Why Slavery Persisted for Almost 75 Years After the Founding of the USA? According to Lincoln, the Democrat Party's "Principled" Opposition to "Hate Speech"
debate over the causes of the Civil War veer between the South's defense of slavery and the South's (alleged) fight for state rights. How about a much simpler solution? Isn't the truth looking at us from the center of the room? Isn't the main reason that, then as now, Democrats (ever "fighting for the American people") did not want to be ruled by such low-life scum (reptiles, outlaws, pirates, murderers, terrorists, haters, etc) as Republicans, as abolitionists, as Tea Partiers? 4) The Arguments Southerners Used to Defend Slavery in the 19th Century Sound Strangely Similar to Those of Leftist Heroes the World Over in the 20th and 21st Centuries. You can hardly find a description of Garland's Jihad Watch Muhammad Art Exhibit and Cartoon Contest, pro or con, without the writer (again, pro or con) feeling the necessity to have no choice but vilify Pamela Geller in the harshest of terms, as a human being of the most horrid of sorts (from shrill and obnoxious to possibly outright racist). Guess what, Democrats! That is exactly (as we have seen) how your party treated abolitionists in the 19th century. As the lowest, and as the vilest, of human beings. When you are dealing with the mainstream media, it is always difficult to tell if you are dealing with willful ignorance or just plain old ignorance-ignorance. There are plenty of moronic savants in the national media who have cracked the “hot take” code to please their left-wing masters but have no fundamental grasp of history, or much of anything much of else. Leftists have again twisted history, as Jonah Goldberg notes in Liberal Fascism, to condemn Americans en masse while leaving the Democratic party unscathed. …In the liberal telling of America's story, there are only two perpetrators of official misdeeds: conservatives and "America" writ large. Progressives, or modern liberals, are never bigots or tyrants, but conservatives often are. For example, one will virtually never hear that the Palmer Raids, Prohibition, or American eugenics were thoroughly progressive phenomena. These are sins America itself must atone for. Meanwhile, real or alleged "conservative" misdeeds — say, McCarthyism — are always the exclusive fault of conservatives and a sign of the policies they would repeat if given power. What Lincoln had to do, rather, was less "appeal to the common racism" per se of the average American per se than to distance himself from those demonized abolitionists. In the very same manner that Republicans, today, are constantly being asked, requested, to differentiate themselves from "far-right" "extremists" of such groups as the Tea Party. That's right: the abolitionists of the 19th century were as demonized and ridiculed (today's castigators of slavery will be happy to know) as the members of the Tea Party are today. And how about members of the nascent Republican Party? How were they treated in the 1850s? Can you imagine? Well, only five years ago, James Carville referred to (modern-day) Republicans as "reptiles". …when you speak of us Republicans, you do so only to denounce us as reptiles [! ], or, at the best, as no better than outlaws. You will grant a hearing to pirates or murderers, but nothing like it to [Republicans]. In all your contentions with one another, each of you deems an unconditional condemnation of [Republicanism] as the first thing to be attended to. Indeed, such condemnation of us seems to be an indispensable prerequisite — license, so to speak — among you to be admitted or permitted to speak at all. Now, can you, or not, be prevailed upon to pause and to consider whether this is quite just to us, or even to yourselves? Bring forward your charges and specifications, and then be patient long enough to hear us deny or justify. So maybe we should take with a pinch of salt all the alleged decrees that the Democratic and Republican parties have switched positions between them and how, today, Lincoln would "obviously" be a Democrat. You might be tempted to dismiss such (self-serving) musings — along with comparisons of the likes of Barack Obama to such illustrious predecessors as Abraham Lincoln and Ronald Reagan — as not the fruit of intellectual investigation, analysis, and arguments but—again—as part of its incessant litany of self-congratulation. Indeed, debate over the causes of the Civil War veer between the South's defense of slavery and the South's (alleged) fight for state rights. 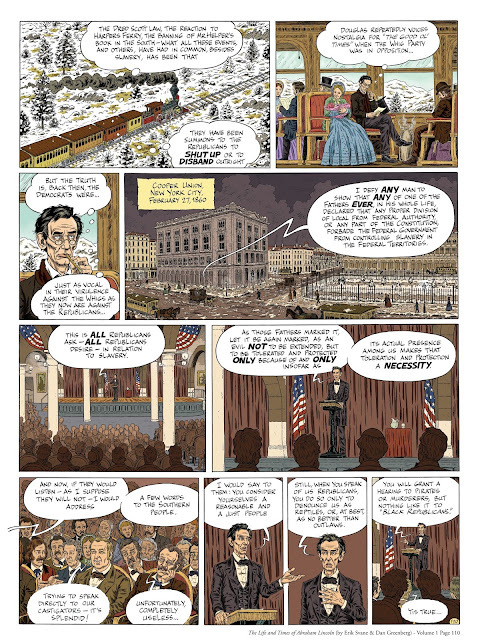 Related: How Come So Much of What Honest Abe Spoke of 150 Years Ago Seems Relevant Today? In the face of incontrovertible evidence of voter fraud in Michigan’s most populous county, the Michigan House passed a much needed voter ID bill. Unfortunately, the Michigan Senate will probably not vote on the bill this session. Pray that they get to it in the New Year. The bill is long overdue though it won’t fix the particular problem discovered during the Michigan recount. Here’s what happened: when state officials reviewed the Michigan vote tally they began to notice an odd trend at polling places found mostly in Wayne County, the heavily Democratic area where Detroit is located. At some polling places more ballots were cast than names checked off the voter rolls. The problem was particularly pronounced in Detroit where 247 of the city’s 662 voting precincts counted more ballots than voters. The city was rife with broken seals on ballot boxes, a strong indicator that ballots were either added, removed, or swapped out. According to a spokesman for Michigan’s Secretary of State, election staff attributed irregularities at polling places in Detroit to human error. Apparently there’s a lot more “human error” in big corrupt cities than in other places. “There’s always going to be small problems to some degree, but we didn’t expect the degree of problem we saw in Detroit. This isn’t normal,” said Krista Haroutunian, chairwoman of the Wayne County Board of Canvassers. I’d venture to say that she’s likely wrong on that point. This degree of suspicious irregularity is probably very normal—for Detroit. The excess ballots should be considered the absolute minimum level of cheating. There may have been other forms of chicanery layered on top of that—voter impersonation, for example, or non-citizens voting. Those types of voter fraud are more difficult to detect especially when people in power have a vested interest in turning a blind eye. Liberals will deny that any such thing took place but of course they’re also denying the blatant ballot-stuffing, sheepishly explaining it as “human error.” The lesson to be learned here is that Democrats always deny and minimize voter fraud when they’re the ones behind it—which happens to be most of the time. Their denials are nothing but meaningless noise. What then can voter ID law do to clean up this mess? Not much. Voter ID is intended to stop voters from misrepresenting themselves not crooked poll workers from fiddling with the ballots after they’ve been cast. Voter ID is not enough. The real solution to the problem of voter fraud is to break the backs of the corrupt urban Democratic machines that run most of our big cities. That won’t be easy of course, and it [was] downright impossible as long as Loretta Lynch and her Department of “Just-Us” [was] around to protect them. The [Obama administration viewed] any effort to restore integrity to our chaotic elections as a furtive attempt at disenfranchising minority voters. Apparently not allowing minorities to cheat is a form of racial oppression. Not that I expect [Attorney General Jeff Sessions] to single-handedly squash the corruption. I would however like to see him get out of the way so that state-level officials—attorneys general, inspectors general, secretaries of state, or whoever—can conduct some real investigations and start tossing fraudsters in jail where they belong. Just don’t expect the corrupt Democratic machines to go softly into the night. They will sue, they will protest, and they will slander good people with spurious accusations of racism. They will make those of us who care about electoral integrity wonder if it’s really worth the fight. I assure you, it is. We don’t have much time. There are midterm elections in two years and another presidential election two years after that. If the Democrats learned anything from their 2016 debacle it’s that they didn’t cheat nearly enough. Next time they’ll really cheat their asses off—worse than Bill Belichick, I mean. Cheating is a long-standing tradition within the Democratic Party dating back to New York’s Tammany Hall. Some of their world-class cheaters have included Lyndon Johnson in Texas, Richard Daley in Chicago, and Honey Fitz in Boston. They’ve elevated cheating to an art form. … Voter fraud is very real. Anyone who tells you otherwise either benefits from it or is simply foolish. I’ve noticed that a curious kind of circular logic surrounds the crime of voter fraud that doesn’t apply to other kinds of crime. The fraud deniers refuse to consider any incidents of voter fraud because no one has proven to their satisfaction that it ever happens more than a few times per election cycle in disparate locations. Mere “anecdotes,” they say. They then cite a lack of convictions for voter fraud as proof that it never happens. I wonder if it ever occurs to them that there aren’t many convictions because no one is on the lookout for it and anyone who tries to stop it is smeared as a racist? Take Alan Schulkin, for example. He’s the Commissioner of Elections for Manhattan and a liberal Democrat. He was caught on tape admitting that he ’s personally witnessed two types of voter fraud with disturbing regularity—absentee ballot fraud and voter busing—though he’s done nothing about it. Mayor Bill De Blasio later demanded Schulkin’s resignation, not for tolerating such hijinks but for suggesting that it exists at all. “He’s supposed to be guaranteeing maximum voter participation and his statements and his values obviously indicate he’s not trying to do that,” said De Blasio. Oh, silly me, I thought his job had something to do with safeguarding the integrity of elections. … Examples of voter fraud abound. … Slaying this beast won’t be easy but with a new president, a new attorney general, and a healthy sense of public outrage there is a glimmer of hope. We will have to resist the urge to rest on our laurels, content that voter fraud is no big deal simply because Trump won despite it. This is about more than just one election. As a matter of fact it’s about more than political victories. It’s about principle.